Anxiety is completely normal feeling for most people when visiting the dentist. However, for many patients their anxiety is so severe that it interferes with receiving basic dental care. Thus, their dental needs grow into complex problems. Dr. Nugent provides Sedation Dentistry to our Pasadena and Deer Park patients those that have a high degree of anxiety and fear. These patients are able to receive the dental services necessary to maintain good oral health through sedation. Sedation dentistry allows patients to completely relax so they are comfortable. Sedation during procedures work great for all patients. Dr. Nugent’s goal is to provide patients with a completely relaxed experience when having any dental procedures. Sedation medication works by placing the patient in a relaxed calmed state. Patients are not under full anesthesia. Patients are still aware of their surroundings (patients can tell us if they are cold and want a blanket, or if water goes down the back of their throat they will cough and protect their airway) but are relaxed and care-free. The procedure and the patient’s anxiety level will determine what type of Sedation used: Nitrous Oxide (laughing gas) , pills or nitrous and pills. If you are only going to utilize nitrous oxide then the gas piece is placed over your nose. You will breath in the sweet smelling gas and start to relax. Once the dental procedure is over 100 percent Oxygen is turned on and the nitrous oxide is flushed from your lungs. You will be alert and orientated and able to drive yourself home. If you are utilizing pills you will take the pills at Dr. Nugent’s Pasadena Dental Office. The pills take about forty-five minutes to an hour to full work. You will start to feel tired and relaxed. You will feel calm and care-free. The pills when combined with nitrous oxide provide amazing sedation coverage. Most patients report that they slept through the procedure. 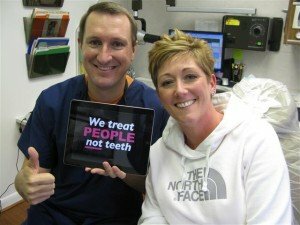 Dr. Nugent’s patients who use sedation dentistry are always amazed by how well it works and how time goes by quickly. You will need a friend or family member to drive you home if you took pills. After the pill sedation you will go home and rest comfortably for the rest of the day. Dr. Nugent does not want you to avoid seeking dental treatment because of fear and anxiety. Dr. Nugent has advanced dental training to offer oral conscious sedation at his Pasadena Dental Office. Without dental care, your smile will suffer, and we understand that so many smiles are neglected because of fear of the dentist. With sedation dentistry, you can finally receive dental care you’ve been putting off all while calm and relaxed. 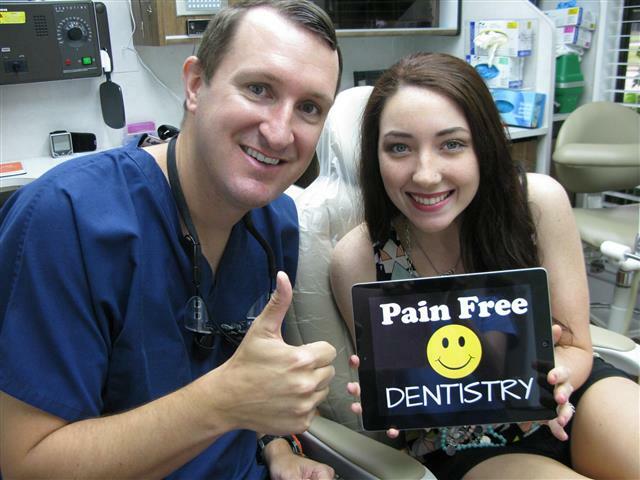 See why so many patients from Pasadena and Deer Park come to our office for amazing sedation dentistry. Come see us at 3421 Burke Rd, Ste A, Pasadena Texas 77504.